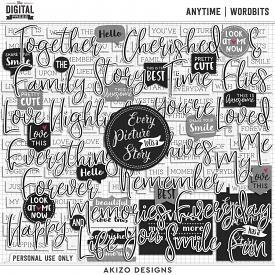 Happy Holidays | Alphas by Akizo Designs For Digital Scrapbooking. 2 complete uppercase / lowercase alphas including numbers and some symbols. 2 complete uppercase alphas including numbers and some symbols. Drop shadows for illustration only. Not all items shown. Background paper is not included.